I’m not saying being the Vice President of University Relations is the equivalent to being Wonder Woman, but it’s kind of the equivalent to being Wonder Woman. Not that I do anything particularly amazing, but I like to think of it as a diplomatic position. As the Vice President of University Relations, I get to interact with a variety of people in the College of Communications. I spend my Mondays with an excellent group of individuals from CICC, the Communications Inter-Club Council, and other organizations in the College of Communications including ETC, FMAA, LPH, NSSLHA, Titan Radio, STANCE, LJ, SPJ, and Ad Club. We discuss and try to allocate money to our specific organizations. Working together, the council tries to make each organizations’ events possible. There are some difficulties to the job. The VP of University Relations has to decide what food to bring to events and work it into their schedule to pick it up. Additionally, it can be difficult managing the needs of your organization with the needs of others, but council members each learn that there is a balance. We learn to work together as a team. The busiest time is the beginning of the year considering that the Vice President of University Relations helps out with National Conference. However, arguably, this is not the hardest part of the job. The real battle is that meetings are at nine in the morning on Monday’s. Bummer. But it’s rewarding in the fact that I help make PRSSA events memorable. I love this job. It allows me to meet other people who I usually wouldn’t meet otherwise. The structure of the meetings is also appealing as it’s a protocol not often used. Also despite having to commit to Monday morning meetings and Wednesday afternoons to pick up food, this position is flexible enough as long as the work is finished by the deadlines. 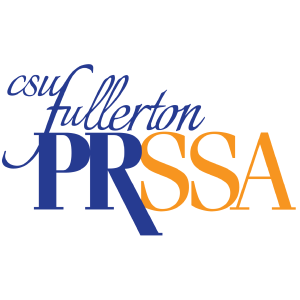 With this position, I am able to offer up my services to help others in PRSSA. If you love people and want a job in which you can also offer up your time to other positions and activities, I highly recommend applying for this job. So, What is Public Relations Anyway? Admin, Shmadmin, Piece of (Cold Leftover) Cake!